It’s probably rare for children these days not to have made a photograph, or a great many of them if they have access to a phone camera, before the age of five. For a boy of the 1950s getting hands on a real camera with film in it was a rare event. Here is my very first photographic effort. What does it show? 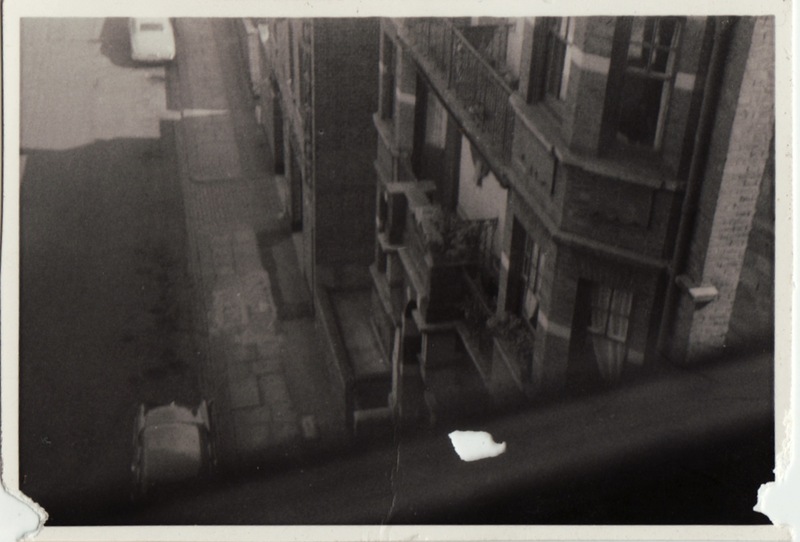 The subject is not what it seems; a rather haphazard suburban view from the window of our flat in Kilburn in London NW6. 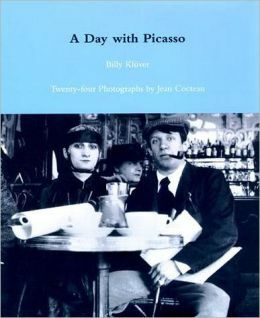 In his “A Day with Picasso,” Art in America, September 1986, 97-106, 161-63, the remarkable engineer Wilhem J. Kluver ingeniously used his readings of shadows and other arcane data embedded in Cocteau’s snapshots of his fun day out with friends in Montparnasse, to determine the date and the course of their increasingly boozy meanderings. The article became a book. Born in 1927 Kluver founded Experiments in Art and Technology (E.A.T.) in 1966, along with fellow engineer Fred Waldhauer and artists Robert Rauschenberg and Robert Whitman, and inspired by the event 9 Evenings: Theatre and Engineering, a series of performances involving such artists as Cage, Whitman, Rauschenberg and others, along with a team of engineers and scientists, mostly from Bell Telephone Laboratories, where Kluver worked as an electrical engineer. Kluver was instrumental in helping artists including Andy Warhol, Jasper Johns and Merce Cunningham create work that required technical and technological expertise, as well as the 9 Evenings and E.A.T. teams. His most cherished wish was that the new technologies – until then the military’s exclusive domain – would be used with peaceful aims in artistic and community-based projects. SunCalc and any number of phone apps make my guess at the time of day and season of my photo so much easier for me than for Kluver. Since the orientation in my snap is northwards and the sun is quite high and glancing across the wall of the neighbouring building in the adjacent street, it would be about 8:30 am, on a day in May or June, 1956 or 1957. I was five or six years old. I cannot remember if I was given the camera to use or, if I took this on the weekend, that I might just have used the opportunity of this early hour and my parents’ sleep-in to sneak the camera into my room. It’s not a picture of the street. The subject is the lettering on the second building, a car mechanic’s (yes…it must be the weekend because no cars occupy the driveway or stand over the oil stains on the road)…I was rather in awe of my ability to read the vertically arranged letters of ‘GARAGE’. That’s why I took this picture (or pictures? ), as I explained to my father who seemed rather cross when he got back his prints from the chemist. ← Call for artists: self-portraits and death, mortality, identity and the self.